Antonyo is from Mount Baker Council in Everett, WA. He is an Eagle Scout and Vigil Honor member of Sikhs Mox Lamonti Lodge. 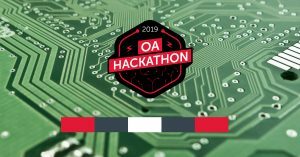 All members of the Order of the Arrow, regardless of technical skill, are invited to attend the 2019 OA Hackathon. Learn how to promote this amazing event! Our 2019 Western Region Chief is Antonyo Mitchell! Antonyo hails from Sikhs Mox Lamonti Lodge, Section W-1N in Everett Washington. Antonyo studies Cellular Biology at the University of Washington, and enjoys photography. Please join us in congratulating him! For more information regarding the future of the SURGE program, please read the following notice. At the recent Region Committee Meeting before the annual Double Vigil Golf Tournament the committee unanimously passed a resolution creating the Western Region Order of the Arrow Leadership Fund. Shunkah-Mahneetuis a small lodge in a council dominated by LDS Church chartered troops of approximately 22,000 youth. The lodge only has about 50 dues paid members. At least that was the picture before the lodge implemented new mailing program to boost membership. Unit elections are a particular challenge for this lodge, and unfortunately all too few happen. So they tend to rely heavily on summer camp elections instead. Within the LDS community, the OA is a significant challenge, Shunkah-Mahneetu is working hard though to change that with the implementation of SURGE, a program that addresses some of the concerns that LDS Church members have in joining the Order of the Arrow. Below is the roadmap of how the South Fork chapter reversed their membership slide and grew relations with local units.